This is the fourth in a series of posts in which I am sharing the notes I took whilst attending a 4 day course- Exploring the Divided Brain- run by Field & Field and featuring Iain McGilchrist. The One and the Many (Thoughts about the puzzle of unity versus multiplicity and what the brain can tell us about it). Some see the universe as an unchanging unity, i.e. ‘the One’, but how would this account for the multiplicity of objects in the universe that are constantly changing. How do we recognise sameness, stability and constancy across objects that change? What is the one unifying aspect behind the universe and everything? How is there unity with diversity? Everything is connected. All is one, but also all is many, but not in an additive way. Heraclitus used the lyre and the bow to show that although they have a connection, this connection, through a tension of opposites, results in something completely different. Hegel believed that all things we encounter are an equilibrium of opposing tendencies from which something new emerges. In relation to the hemispheres of the brain, there are two kinds of parts. Both the left hemisphere and the right hemisphere see parts, but they see and aggregate them differently. The left hemisphere sees fragments, non-unique referents, which it classifies into abstract categories. The right hemisphere sees uniqueness and individuality. It can distinguish specific examples within a category, ‘individuals of all kinds, places as well as faces’ (p.51 The Master and his Emissary). 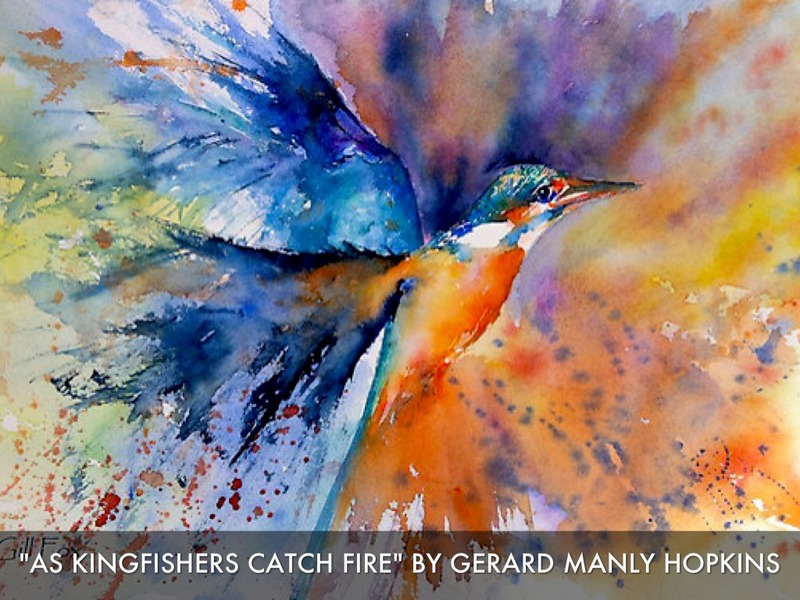 The right hemisphere focuses on ‘this ness’, wholeness, quiddity, appreciation of things just as they are, as Gerard Manley Hopkins did in his poem ‘As Kingfishers Catch Fire’. ‘…. creativity depends on the union of things that are also maintained separately’ (p.42, The Master and his Emissary’). The problem is that in today’s world we are losing sight of ‘the One’ that can’t be grasped, pinned down, easily articulated. We live in a world where everything is recorded. There seems to be a common feeling that if it isn’t recorded it didn’t happen, it isn’t real and that we must record reality or it doesn’t exist. But a recording is a representation. It is the work of the left hemisphere. So recordings, representations, replicas are becoming reality whilst embodied experience of uniqueness and ‘the One’ is being downgraded. The story of Lieutenant Kijé was mentioned here as an illustration of how someone can cease to exist through a failing in recording (see further information in the list of references at the end of this post). Every single experience we have alters our brain, so if we live most of our lives in a 2D world (e.g. online) we will lose the experience of uniqueness (the right brain’s view of the whole); we will only do what the machine does (Dreyfus – What computers can’t do). The question of the One and the Many also relates to the self and whether we have no self, one self or many selves, or all these. Evidence from research into babies suggests that they experience the same things as their mothers, having a self that is both separate and not separate. Babies learn to hear their mother’s voice in the womb, and if read a story whilst in the womb, will respond to this story after birth. Our selves are diffuse and shared by others; others help to make us who we are (see The Self Beyond Itself by Heidi Ravven). The South African greeting ‘Ubuntu’ is relevant here. And for Iain McGilchrist this relates to love. ‘Love is a pure attention to the existence of another’. The self is a product of both hemispheres. The intrinsically, empathically inseparable from the world self and continuous sense of self is dependent on the right hemisphere. The objectified self, the self as an expression of will depends on the left hemisphere (p.87, The Master and his Emissary). It seems to me that when learning in global online networks we are experiencing the one and the many. We are aware of ourselves as individuals in the network and of many other individuals in the network, but we also know that it is impossible to see the whole network. But is the whole network greater than the sum of the parts I wonder? Iain talked about the relationship between the right hemisphere’s view of the world and uncertainty. In this digital age, an overload of fast changing information and uncertainty are ever present problems. We know that we have to live, learn and work in complex environments that we will never fully understand and will never be predictable. We know we have to self-organise and that to make our networks effective we have to be open and generous in sharing our work and learning. In my work this is what it means to live with complexity. I can see a parallel here with the ‘chaotic, super abundant universe filled with a multiplicity of differential being’ that Iain talked about as the right hemisphere’s view of the world. But I can also see the paradox that in my work and research I have been exploring complexity as it relates to global open online networking afforded by technology. On reflection, it would have been interesting to discuss the ways in which technology can (if it can), rather than can’t, promote right hemisphere thinking. Hubert Dreyfus (1972). What computers can’t do. Heidi Ravven (2013). The Self Beyond Itself: An Alternative History of Ethics, the New Brain Sciences, and the Myth of Free Will. The New Press.